Me and my modest band of Wiborg brothers are following your posts with great interest! Great to see a well informed comparison and learn from your experiences. I can second your opinion about the close call with the Chubby 2. The biggest question for me is how does one actually get a Wiborg? And I mean a new one, because since I don't have kids I won't be able to give someone my first born to buy one second hand. I have one Wilborg in my den. A 30mm Finest with a loft of about 52mm. It's very soft yet dense. 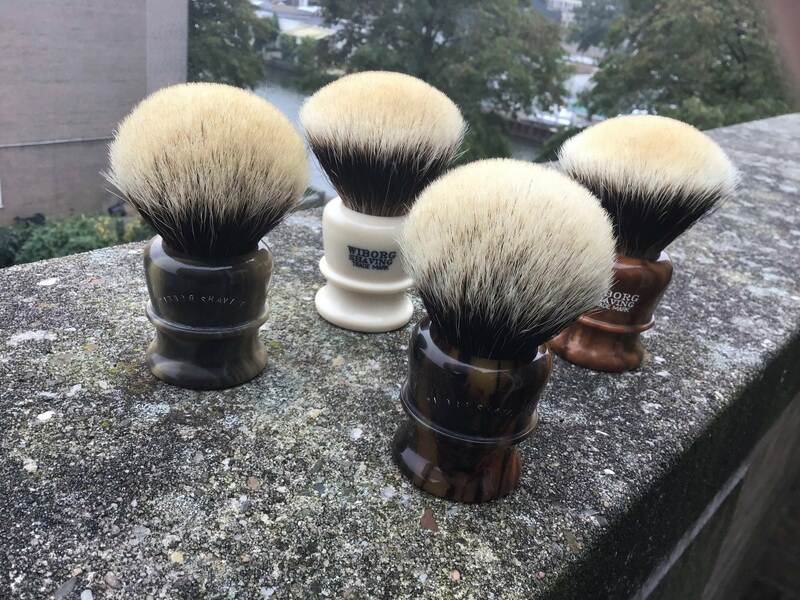 The only other brush I can compare it to is a M&F pre Brad Sears 3XL Finest. Almost identical knots in terms of appearance, density and softness. The major difference and this splitting hairs is the Wilborg has a better flow through. I'd have another Wilborg if they were easy to get.